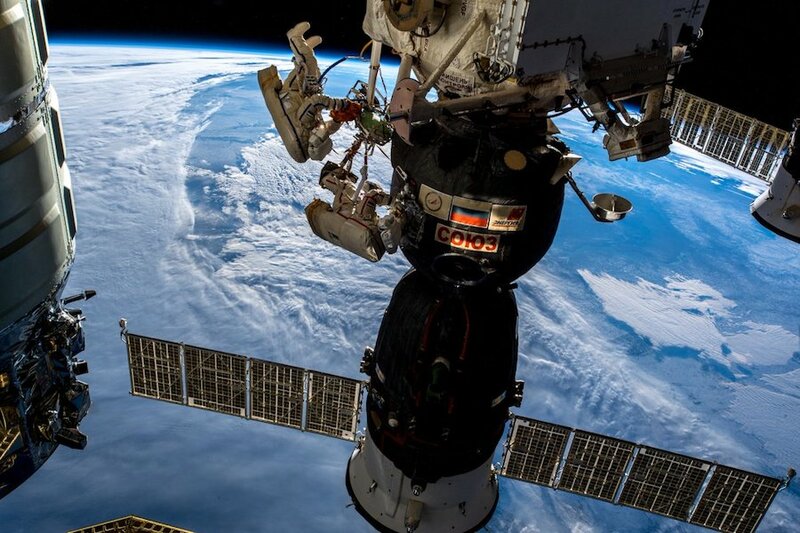 Armed with a knife, scissors and other cutting tools, cosmonauts Oleg Kononenko and Sergey Prokopyev went outside the International Space Station on Dec. 11 to slice into the thermal insulation of a Soyuz spaceship and inspect the site of a repaired air leak that briefly caused a minor drop in air pressure in the research outpost earlier this year. 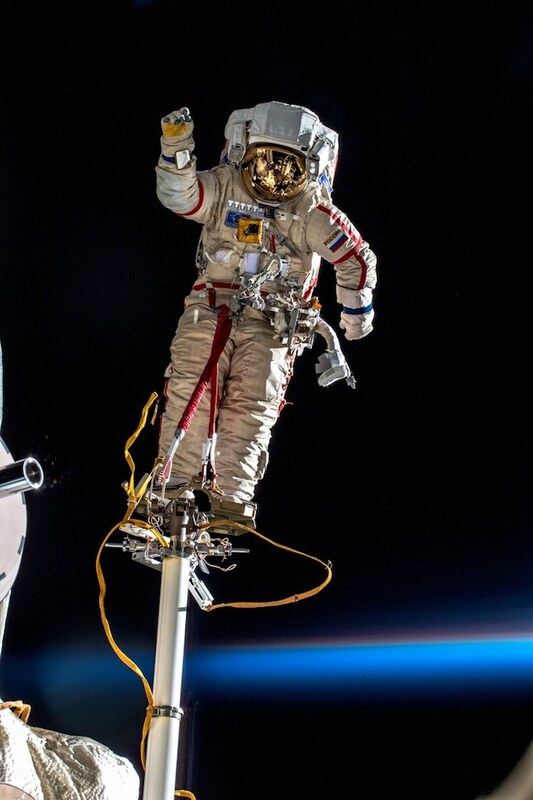 Kononenko and Prokopyev’s dramatic spacewalk produced unforgettable imagery of the duo vigorously cutting into the Soyuz MS-09 spacecraft’s black insulation, then into an orbital debris shield to inspect the site of a tiny 2-millimeter drill hole plugged in August with an improvised stopper of gauze and epoxy sealant. 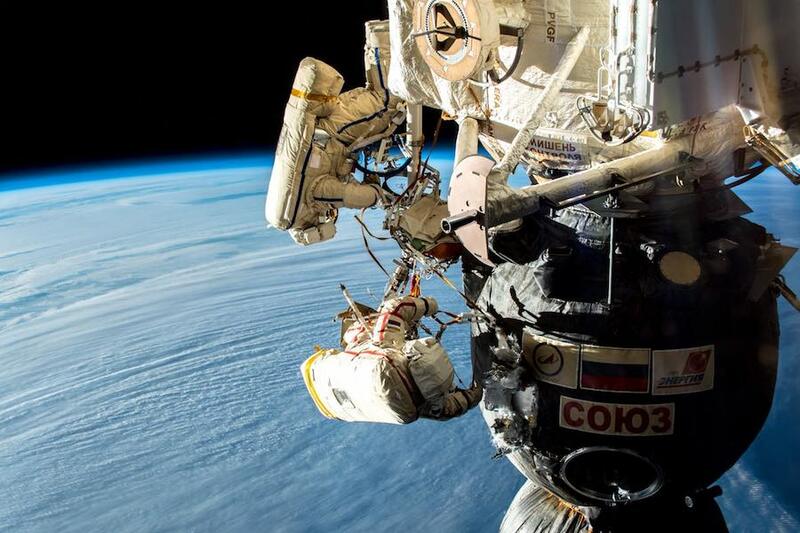 The spacewalkers worked on the Soyuz spacecraft as it was docked with the space station’s Rassvet module. The hole is on the orbital module of the Soyuz spacecraft, which is discarded before re-entry into the atmosphere. 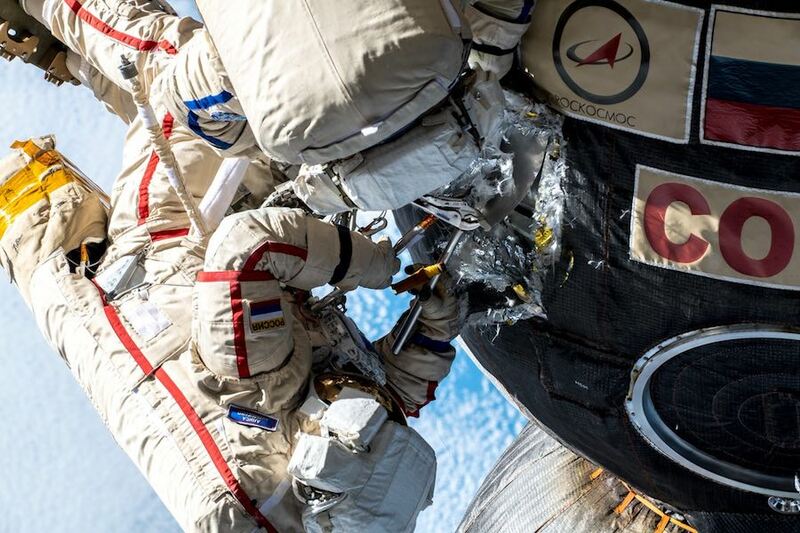 These photos taken by European Space Agency astronaut Alexander Gerst show the Russian cosmonauts working on the Soyuz MS-09 spacecraft. 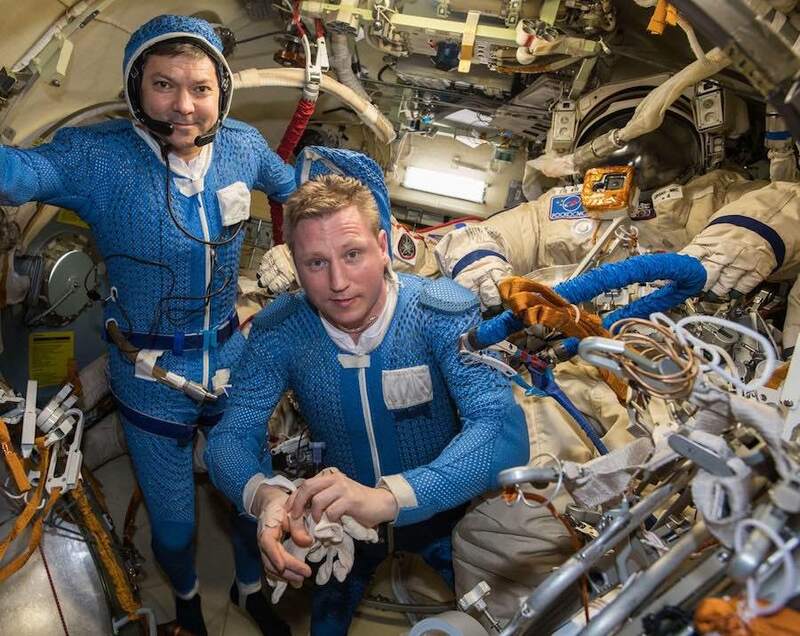 Gerst, Prokopyev and NASA astronaut Serena Auñón-Chancellor are set to ride the Soyuz MS-09 spacecraft back to Earth for a landing Thursday, Dec. 19. But they will come home inside the craft’s landing section, which carries a heat shield to protect the crew during re-entry. 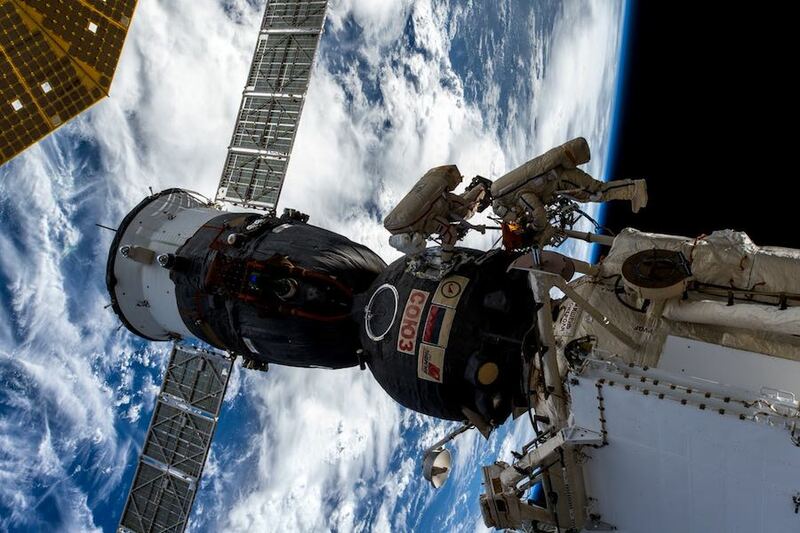 The leak in the Soyuz habitation module does not pose a threat to the crew during the descent back into the atmosphere. 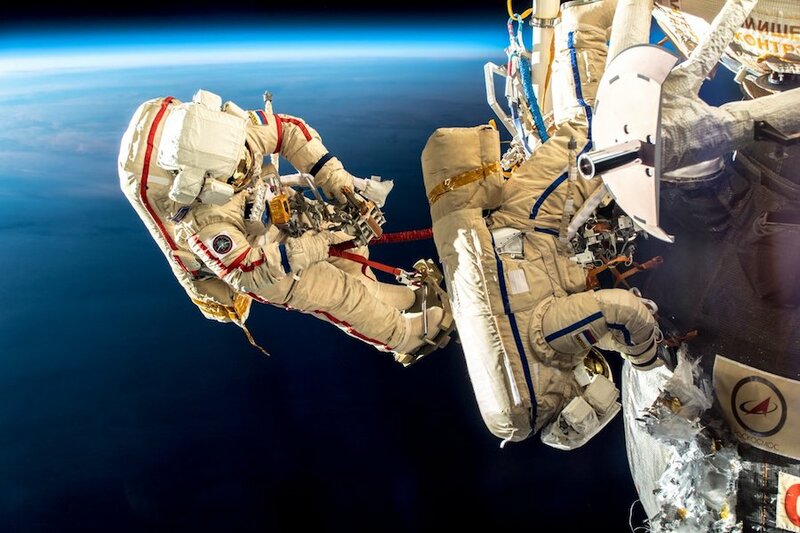 Read our full story on the Dec. 11 spacewalk for details.